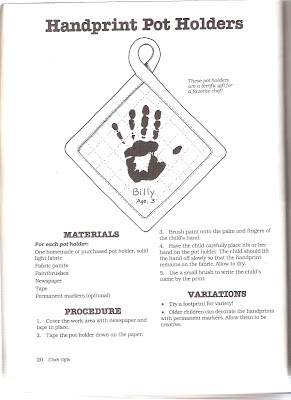 While going through the book and items I scan into my computer I came across the project for children to make; so, I thought I would share this project. It came from “From kids With Love”. 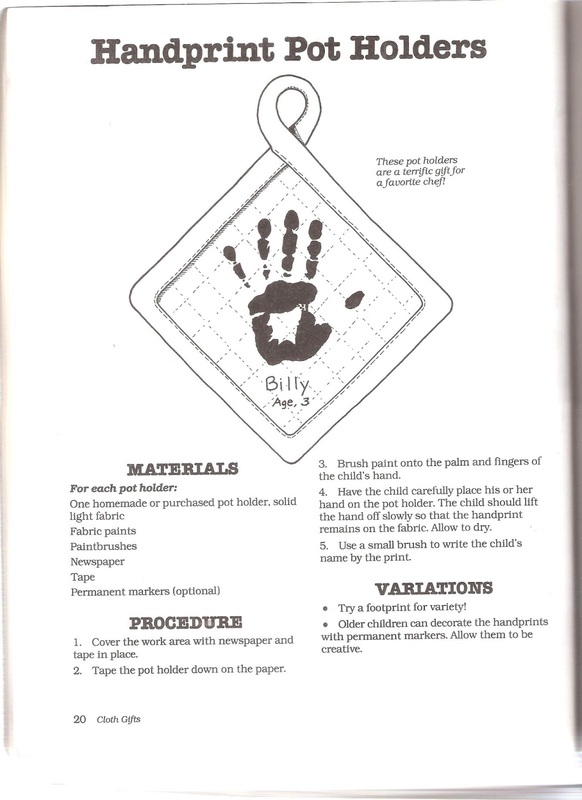 In addition, one can get a plain pot holder from the Dollar store for this project, too.